French renewables analyst Bernard Chabot has added his voice to the media blitz surrounding the COP 21 meeting in Paris. Chabot examines Denmark's 2012 policy to address climate change and finds, surprise, that the Danes are well on their way to meeting their objectives--ahead of schedule. The 2012 Danish Energy and Climate plan is one of the world's more ambitious climate plans as it aims to eliminate fossil fuels in Denmark by 2050. The Danes plan to eliminate fossil fuels for electricity and heat production by 2035. They are ahead of their target to replace 50% of electricity from fossil fuels with wind energy by 2020. 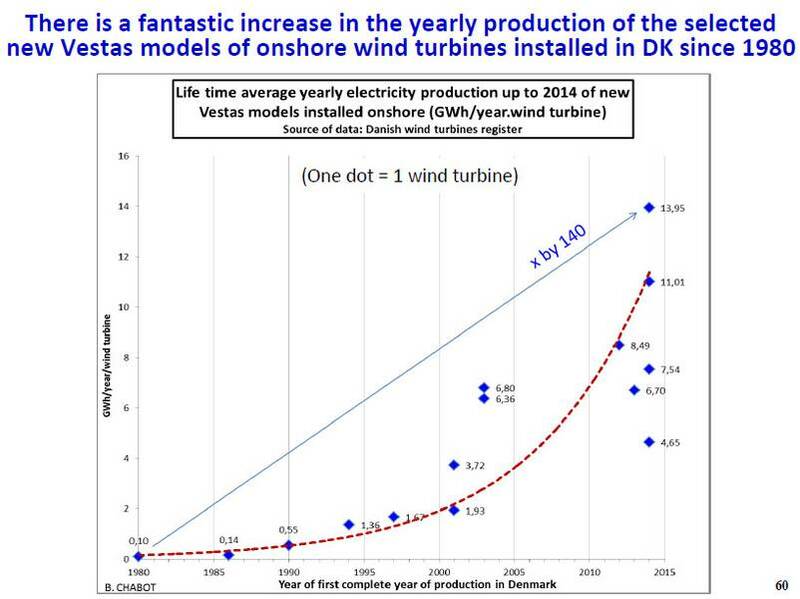 In 2014, renewables supplied more than 50% of Danish electricity, most of that from wind energy. Wind energy is providing more than 40% of electricity generation in 2015. 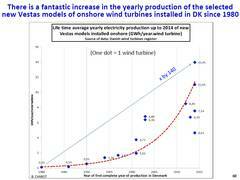 Chabot argues that the new wind turbines of what he calls the Silent Wind Power Revolution being introduced in Denmark are revolutionizing wind energy. Wind turbines being installed today generate 140 times the amount of electricity generated by wind turbines installed in 1980.